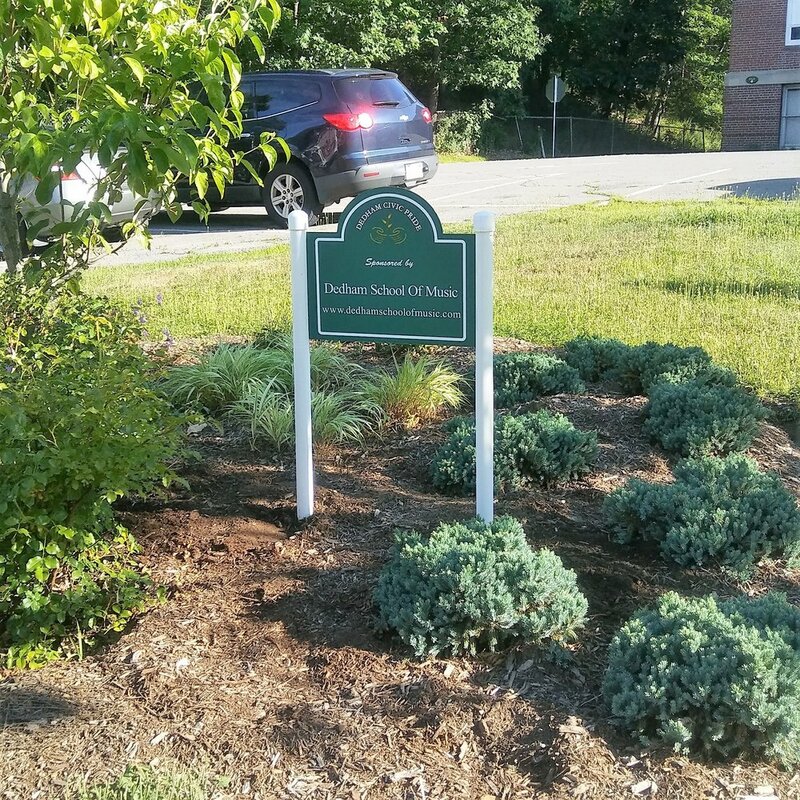 You will find Dedham Civic Pride's "Sponsor-A-Spot" in all neighborhoods of Dedham. These colorfully landscaped traffic islands and pocket gardens are supported by the financial assistance of local businesses. The spots are planted, weeded and watered by the staff of Dedham Civic Pride. If you would like to help Dedham Civic Pride continue to improve and upgrade areas in Dedham, please consider Sponsoring a Spot. Spots run from $275 to $500 depending on the plant needs and size. For more information, please contact Janet Holmes at 781-249-9258.